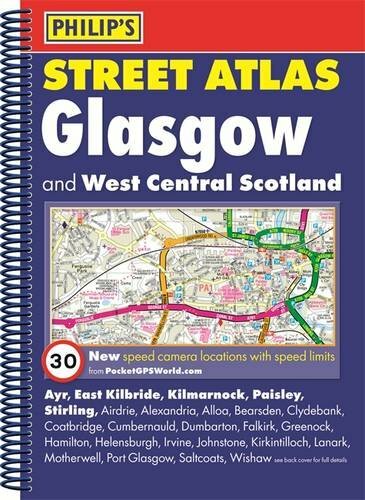 Philip's Street Atlas Glasgow and West Central Scotland gives detailed coverage of the region in a convenient spiral-bound format. The route planner shows all the A and B roads, and can be used when driving to get close to the destination before turning to the relevant large-scale street map.The street maps show every named road, street and lane very clearly, with major roads picked out in colour. The maps are at a standard scale of 3.5 inches to 1 mile. In addition, Glasgow city centre is shown at 7 inches to 1 mile.